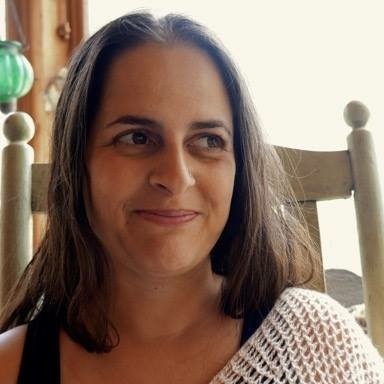 Julie Fogliano is the New York Times–bestselling author of and then it’s spring and if you want to see a whale, as well as the poetry collection When Green Becomes Tomatoes. Recipient of the 2013 Ezra Jack Keats Award, her books have been translated into more than ten languages. Julie lives in the Hudson Valley with her husband and three children. When she is not folding laundry or wondering what to make for dinner, she is staring out the window waiting for a book idea to fly by. I, too, have been staring out the window, but what I've been hoping to snag is this elusive and somewhat enigmatic poet/non-poet author for a spotlight interview! There's something so appealing about Julie Fogliano's writing. Lyrical, yet conversational, it evokes a dreamlike mindfulness that is both here-and-now and on the edge of something that's not quite, but very nearly in reach. It transports you, puts you at ease, and fills you with hope—a tall order by anyone's standards. 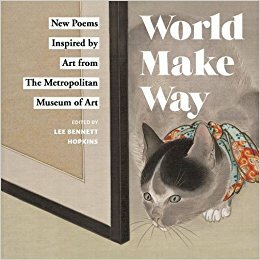 and Julie also has a poem in the recently released World Make Way: New Poems Inspired by Art by the Metropolitan Museum of Art, edited by Lee Bennett Hopkins. With 28 starred reviews (and counting), she is already a force to be reckoned with, but her books and critical acclaim keep coming. Find at Amazon.com, Barnes & Noble, or via Indiebound.org. 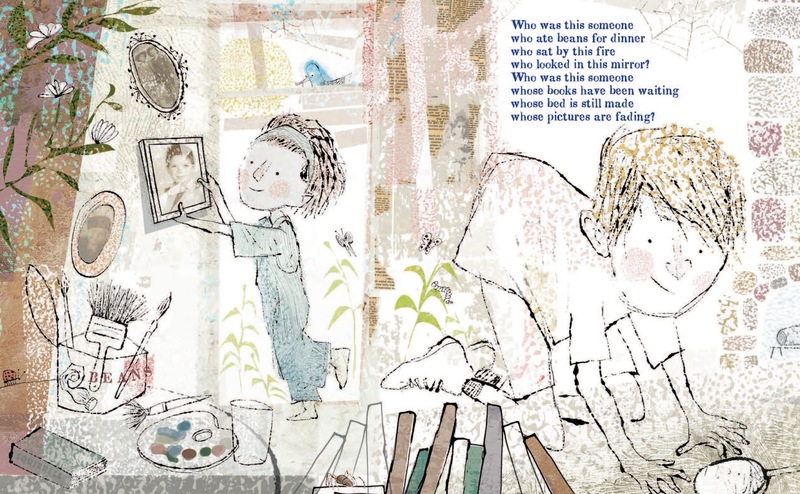 A house that once was pairs Julie with Caldecott Award–winning illustrator Lane Smith to create an enchanting and unforgettable story about a boy and a girl who discover an abandoned house. Entering through "a window that's watching ... a window that says climb inside," they explore the house's contents and imagine answers to questions like Who lived here? Why did they leave? and Where did they go? When you have a spare minute, you should definitely read Elizabeth Bird's thorough and glowing review at School Library Journal. More briefly, Kirkus describes a house that once was as "perfectly seamless; words and art are interwoven in a dance that enchants. Inventive and lovely." That, it is. 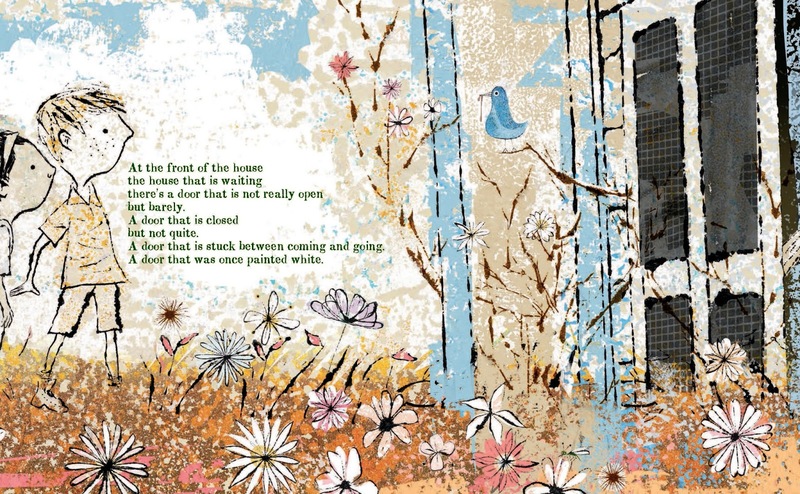 Julie's free-flowing stream of text wanders in and out of contemplation, levity, rhythm and rhyme, blending beautifully with Lane Smith's illustrations that drift in and out of three artistically-defined worlds—a colorful reality, a ghostly dimension, and a richer, more vibrant world of imagination. The result is captivating, timeless, stunning, and thought-provoking. And if you're wondering what the thread is that holds it all together... that's right! It's wonder. Wonder and curiosity—qualities that are characteristic of all great artists and poets, whether you choose to describe yourself as one or not. Be sure to visit the book's website for more art than what is featured in today's interview and to download a fun activity kit. But for now, enjoy my conversation with Julie Fogliano. 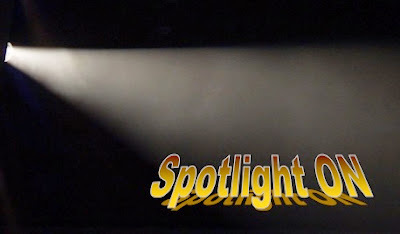 We begin as we do with all Spotlight ON interviews, with five of her favorite things. Favorite childhood memory: On Sunday mornings, my grandma would get up extra early to start making the sauce, and she would always wake me with a meatball in bed. 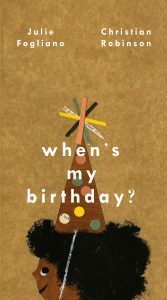 Each of and then it’s spring, if you want to see a whale, and When Green Becomes Tomatoes found their genesis in a year of writing daily thoughts—a friend’s clever ruse to get you past your 15 year rut of trying to write a children’s book. (Read more at Jama’s Alphabet Soup.) Now, with a few more books under your belt, I imagine you’ve had to start dipping into other creative sources for material. What kind of routine have you established to nurture a healthy working relationship with your muse? No, I really haven't changed my routine at all. I don’t necessarily write thoughts of the day anymore (although i will go through spurts of doing it now and then, just for fun). But, I still approach writing the same way. Basically, I discovered that if I just sit down and write, without a plan or an idea, something will eventually come of it. It might take days, or weeks, or months, but it will happen. I wasted a lot of time (years!) forcing ideas that just weren’t meant to be and it ended up making me miserable. I’ve come to love just wandering around in my own head, with no real idea of where I’ll end up. Two years ago, with the release of When Green Becomes Tomatoes, you confessed that you weren’t all that comfortable with the label of “poet.” It was enough to write with economy and beauty about tiny quiet things. (Read more at Watch. Connect. Read.) Yet here comes a house that once was, which is not only delicate and lyrical, but also flirts with rhythm and rhyme. What are we to make of that? Can we call you a poet yet? I’m doing my best to just write and not worry so much. To this day, I haven’t sat down and said “I’m going to write a poem now!” I think that would be the kiss of death for me. But, as you mentioned, I love to be economical with words and yes, I love finding the beauty in tiny, quiet things. And, lately I’ve come to really enjoy playing with rhythm and rhyme. So, if all of that results in being called a poet, then I’m okay with that (even if it still makes me a little nervous). Can you fill us in on the backstory of the real house that inspired this book? Also, Lane Smith’s illustrations are, indeed, phenomenal. Would you speak to the connection between your words and his art? The house that inspired this book is in the woods behind my sister’s house. My boys and my nephews love to explore back there and eventually stumbled upon the house. They were totally fascinated. From A HOUSE THAT ONCE WAS (Roaring Brook Press, 2018). Text © Julie Fogliano. Illustration © Lane Smith. A door that is stuck between coming and going. A door that was once painted white. They loved looking through all the objects in the house imagining the person who lived there… books, pens, canned food, old pictures… they couldn’t imagine how or why someone would just leave and never come back. who looked in this mirror? It just so happened, that their discovery happened shortly after Lane asked me to write a picture book for him. I was in agony trying to come up with a Lane Smith worthy idea. I am a longtime fan of Lane’s work. He has such a huge range and I really wanted to write something that would let him stretch in every direction. When the kids walked in and told me about the house, I immediately knew. Who better than Lane to bounce back and forth between fantasy and reality, wonder and melancholy, in such a beautiful way. Please share a favorite spread from a house that once was and tell us why it’s a favorite. Oh the twirling girl, for sure. or a girl who would twirl to her records and sing? I rarely see what I write… I hear it, and I feel it, but I don’t really see it. But, when I saw that spread… I got chills. She was exactly what was in my head. Let’s imagine for a moment that you need to leave your current home. Years from now, if I were to ask your house what it remembers about the Fogliano family, what might it tell me? Oh wow, well we are five people and a dog living in a very tiny house. It is a very sweet and cozy situation, but I often feel like the little old lady who lived in a shoe. So, the house would definitely tell you that there were always dishes in the sink, a huge pile of laundry waiting to be folded and that you couldn’t walk two feet without stepping on a lego. I have a bunch of picture books coming out over the next few years and they are all in various stages. 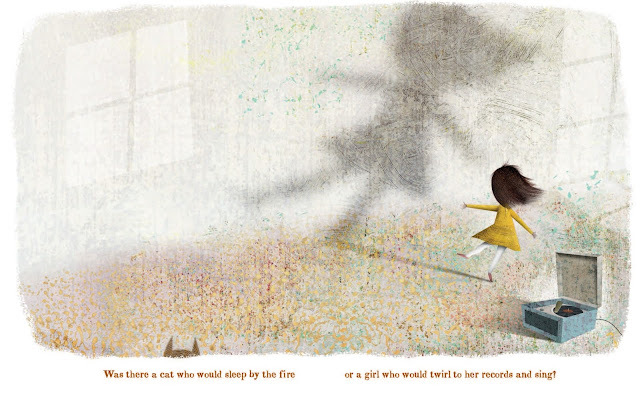 I’m not sure of the exact publication dates for any of them, but the two that are furthest along are: If I Was the Sunshine, illustrated by Loren Long and My Best Friend, illustrated by Jillian Tamaki. 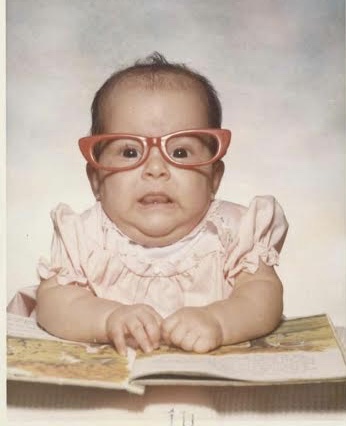 Baby Julie enjoys one of her very first picture books. I spend a lot of time staring out the window. In fact, a few of my books are about what I saw out there. The view from Julie Fogliano's window in Cape Breton. So, my challenge is to just stare out the window and write what you see. Is there a bird out there? What is it doing? Is anyone walking by? Where do you think they’re going? Is it raining? What does it sound like? Is there a car going by? A train? It doesn’t have to be anything big or exciting that you write about. Just write what you see. Do that everyday for a week. At the end of the week, read through what you wrote and write your favorite bits on a separate piece of paper. I bet there will be a poem in there somewhere… see if you can find it. Fabulous! Let's call them "Window Poems." Admit it, grown-ups. If the universe provided for you an opportunity for full-fledged snooping, devoid of fear or consequence, you’d hoist yourself up on that windowsill too. It looks like the universe has obliged. To be clear, your DMC challenge this month is to stare out the window and write a poem about what you see. The part about doing it everyday over the course of a week is recommended, but optional. Won't you please help me thank Julie for revealing herself to us today? Also, for offering a personalized copy of a house that once was to one lucky DMC participant! Post your poem about what you see out your window on our May 2018 padlet. Stop by any time during the month to add your work or to check out what others are contributing. By posting on the padlet, you are granting me permission to share your poem on Today's Little Ditty. Some poems will be featured as daily ditties, though authors may not be given advanced notice. Subscribe to the blog if you'd like to keep tabs. You can do that in the sidebar to the right where it says "Follow TLD by Email." As always, all of the poems will be included in a wrap-up celebration on the last Friday of the month—May 25th for our current challenge. 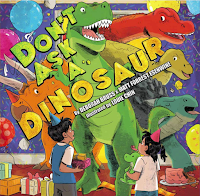 Thanks again to everyone who participated in Deborah Bruss and Matt Forrest Esenwine's challenge last month to write a poem about something you would not expect (or want) a dinosaur, or other animal, to do. We had a couple additions since last Friday's wrap-up celebration. Click here to take another look. Random.org has determined that the winner of a personalized copy of Don't Ask a Dinosaur by Deborah Bruss and Matt Forrest Esenwine, illustrated by Louie Chin is . . .
We had another drawing this week—my National Poetry Month giveaway. 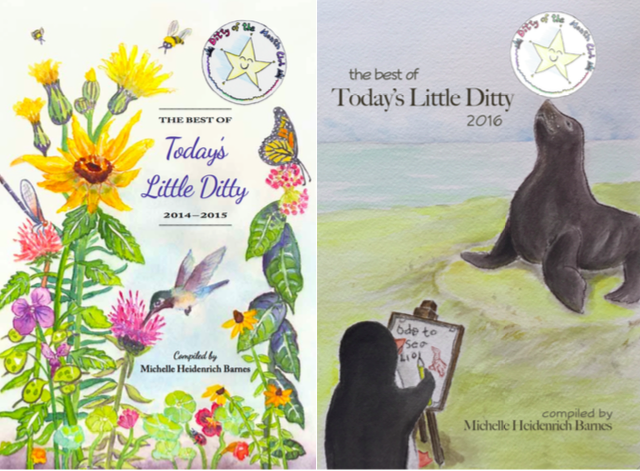 Random.org has determined that five sets of The Best of Today's Little Ditty (volumes 1 and 2) will go to . . .
Congratulations to the winners of both giveaways! One more quick note before I go. If you've read and enjoyed The Best of Today's Little Ditty, would you take a minute to leave an honest review on Amazon.com? (The 2016 edition, especially.) Reviews make a huge difference as to whether or not a book shows up in searches. Thanks so much! Brenda Davis Harsham has this week's Poetry Friday roundup at Friendly Fairy Tales. I absolutely love how Julie’s book came to be. I look forward to reading her books- but for now I am busy looking out the window. I have never tried the challenge before--but staring out the window is something I think suits me, lol. Knowing that Julie doesn't plan and still comes up with the amazing work that she does has gobsmacked. 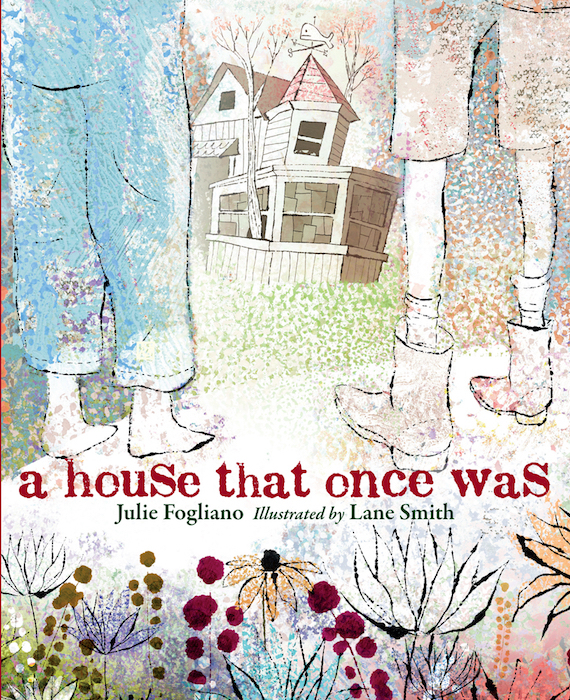 Thoroughly enjoyed this post -- nice to hear what Julie's been up to recently -- more wonderful books coming out, and I'm really anxious to see The House That Once Was (loving Lane Smith's art too!). I love Julie's books, thanks for the interview and challenge, Michelle. Michelle and Julie, thank you for the delightful conversation shared here. I love how Julie gathers the best material with a soft focus and then seems to use a laser focus to articulate the moment. That sense of wonder is so precious. We don't realize when we are young that it's possible to lose it. I've had a heck-of-a-week in my corner of the world. I'm fine....but coming home and opening up this interview was just perfect. Thank you both. I love the idea of window poems.....a pretty title for the padlet collection. It was a wonderful interview Julie - loved your baby Julie picture! Also appreciated the idea of “wandering around in my own head” for ideas. Window poems are delightful, especially with a cup of coffee! ☕️ I look forward to getting your new house book. Thank you again, Michelle for the drawing that has gifted me with the two volumes of The Best of Today’s Little Ditty! Looking forward to reading them and maybe trying to submit a poem or two. Thank you for giving me yet another excuse to stare out of my window. I wonder what i'll see this time ...or the next! Thank you for this wonderful spotlight - as a newbie to reading, writing, and teaching poetry (to my kinder students!) I am always looking for new poets and their work to read and share with my little ones! Michelle so happy you were able to "snag" Julie and share her and her books with us! I've read"When Green Becomes Tomatoes"–I love how the book follows through seasons and months, and ends up where you started, and I also liked the sensitivity in her voice. 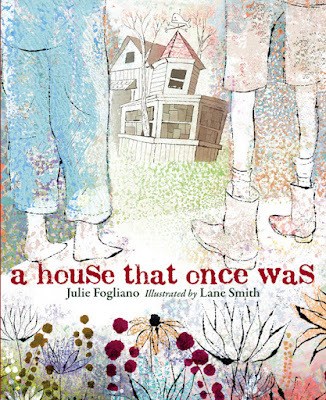 I'm looking forward to "a house that once was," with Lane Smith and holding it in my hands to read. Thanks for the ditty challenge Julie, I love looking out windows! I love Julie's writing. It's where I want to be. Thanks to both of you for sharing! I am renewed. I know just where those boys were...in their minds anyway. I have a thing for old abandoned houses. I ordered all of Julie's books, except for the one I already own. Such joy in them. Can't wait to see the newest. Not sure if I can take part in the ditty challenge. I'm mid editing mayhem. Thank you, Michelle, for introducing me to Julie. WOW! I too love to begin my day, looking out into my backyard oasis and wonder and dream about the "quiet little things". Thank you, Julie, for your joyful lovely books. I am placing my first order now. Can't wait. And thank you for the challenge. Oh wow. What an unbelievably rich post. I am a huge fan of Julie Fogliano - thank you for sharing all these! Michelle, thanks for the introduction--a new-to-me author to love and be inspired by. Liked particularly the discussion about Julie's economy of words that still show clear and wonder-filled images. What an affirming post for those who don't follow the rules of writing - like myself! :P I don't plot. I often just open a blank document and start writing... then see where it takes me - what voice or conundrum I have stumbled into. I loved reading Julie's experience of this - and I think the writing challenge is fantastic. So much scope - great for classroom applications, too. 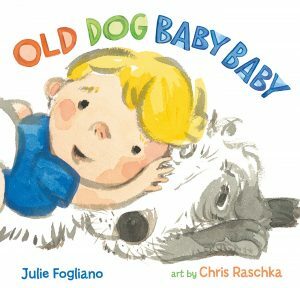 I love Julie's work, so I'm very eager to see this book! (I, too, read Elizabeth Bird's review, which made me even more eager) Thanks for the interview, Michelle. Charming interview, charming book. I relate to this author in so many ways. I am looking forward to finding her books and attempting her method of writing. Thanks to both of you for the inspiration. Above "charming" comment was by me. Grandkids had captured my computer! Love this intereview. When Green Became Tomatoes was a favorite book for the CYBILS. I LOVE When Green Becomes Tomatoes and this new book, The House that Once Was, sounds fantastic. I will be getting it right away. I can't wait to read it. Thanks for the post and for the challenge. I have been in the midst of a huge rewrite going through the SCBWI mentor program, but now I think I can get back to normalcy, and this blog is part of my normal.